Externally, the incarnate Christ is a man, but it is rather arbitrary and arrogant to judge whether Christ is God or a man only by His appearance. Supposing that you know a person, can you know him completely just from his appearance? Outwardly you can see clearly what he looks like and how tall he is; however, can you see clearly what his character and disposition are? Can you know his advantages, disadvantages or his likes? Definitely not. We cannot even completely know a person from his appearance, much less know God. Since we can’t know God from the outside, how can we judge that Christ is a man from His appearance? Thinking back to the time when the Lord Jesus did His work, didn’t those Jewish chief priests, scribes, and the Pharisees see Him as a man from His appearance, saying that He was the son of Joseph, a carpenter? What’s more, they even blasphemed against the Lord Jesus by charging Him with casting out devils by the prince of the devils Beelzebub and deceiving people, and nailed Him to the cross. The Pharisees knew the law very well, but they didn’t know what the incarnation was or what Christ was. In appearance, the Lord Jesus, like us, was an ordinary and normal man. But He could perform signs and wonders: calming the wind and waves, letting the blind see and the lame walk, feeding five thousand people with five loaves and two fish, and even raising the dead … If the Lord Jesus was merely a man as the Pharisees said, who could perform such signs and wonders except Him? He could express the truth to supply us humans anytime, anywhere, and give the way of repentance to man. He also had the authority to forgive man’s sins and did the work of redeeming all mankind through crucifixion. Could the Pharisees do any of these things? Even though the Lord Jesus appeared to be an ordinary man outwardly, what His word and work revealed were all God’s life disposition and what God has and is. The Lord Jesus was conceived by the Holy Spirit and is the incarnate Christ. What God has and is, which was manifested in Him, is not something that can be possessed by anyone. “The Christ with normal humanity is a flesh in which the Spirit is realized, possessing normal humanity, normal sense, and human thought. ‘Being realized’ means God becoming man, the Spirit becoming flesh; to put it plainly, it is when God Himself inhabits a flesh with normal humanity, and through it expresses His divine work—this is what it means to be realized, or incarnated.” “The meaning of incarnation is that God appears in the flesh, and He comes to work among man of His creation in the image of a flesh. So, for God to be incarnated, He must first be flesh, flesh with normal humanity; this, at the very least, must be true. In fact, the implication of God’s incarnation is that God lives and works in the flesh, God in His very essence becomes flesh, becomes a man” (“The Essence of the Flesh Inhabited by God” in The Word Appears in the Flesh). Almighty God spells it out clearly. Incarnation means that God’s Spirit is realized in the flesh, which is to say, He puts on the flesh, becomes a regular Son of man, and comes to earth to speak and work. To put it another way, God in heaven becomes a man, speaking and working among us humans to redeem and save us. He has both a normal humanity and a complete divinity. In appearance, the incarnate God is a normal and ordinary man, obeying the normal laws of human life with normal human emotions, engaging in all ordinary human activities, and really and actually living among us. He is no different from man outwardly, but His substance is the divinity, in other words, the Spirit of God. He can express God’s disposition and what God has and is, express the truth at any time and place to supply and save man according to the needs of mankind, and do God’s own work, all of which cannot be achieved by any creature. God is God. No matter how ordinary and normal He is outwardly, His substance determines His identity. Can we know God’s divine substance, God’s disposition or what God is only from the outside? Absolutely not! When the Lord Jesus worked among men, nobody could discover there was divinity hidden inside His humanity. Therefore, when He expressed the truth and God’s voice, man could hardly know from His words that He is God Himself, God incarnate. Moreover, when someone who received the enlightenment and illumination from the Holy Spirit testified that the Lord Jesus was the coming Messiah, Christ, many people said, “Isn’t he the son of Joseph? Isn’t he a Nazarene?” Why did they talk about the Lord Jesus in this way? It was because He had normal humanity on the outside. Not until the Lord Jesus did the work of redemption and His words were found to have authority and power did man begin to follow Him. And it was only when He was resurrected from death and appeared to man that man truly saw He was the incarnate Christ, the appearance of God. 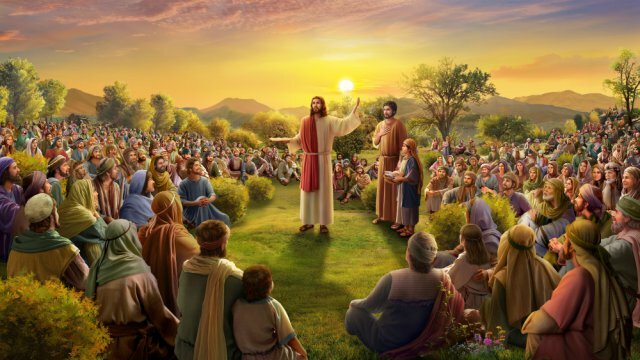 In fact, He who is God’s incarnation shall hold normal humanity and shall be a real and normal man in appearance, so that we see the flesh God takes on is ordinary and normal. If the flesh He takes on were extraordinary and special, not real, then the significance of God’s incarnation would be lost. Therefore, Christ must hold normal humanity, and be a real man. Only in this way can it be proved that He is the Word become flesh. God looks like an ordinary and normal man in appearance, but is His substance the same as us corrupt human race? Can corrupt man be compared to the incarnate God? Absolutely not. So, isn’t it blasphemy against God that some people say God is a man? We know the prophets throughout generations past, such as Jeremiah, Samuel and so on, could convey God’s words, but why are they not God? That’s because they are just the men used by God, and they just have normal humanity but don’t possess divine substance, much less God’s identity. The greatest mystery of the incarnation is that, inside this externally ordinary man, there hides a complete divinity, which can’t be found or seen by anyone. With divine substance, Christ can express the truth at any time and place, express God’s disposition, God’s will and His requests of us; He can judge, reveal, even curse man; He can redeem, purify and save man. God’s word says, “God becomes flesh only to complete the work of the flesh, not simply to allow all men to see Him. Rather, He lets His work affirm His identity, and allows what He reveals to attest to His substance. His substance is not baseless; His identity was not seized by His hand; it is determined by His work and His substance. Though He has the substance of God Himself and is capable of doing the work of God Himself, He is still, after all, flesh unlike the Spirit. He is not God with the qualities of the Spirit; He is God with the shell of flesh. Therefore, no matter how normal and how weak He is, and howsoever He seeks the will of God the Father, His divinity is undeniable. In the incarnate God exists not only a normal humanity and its weaknesses; there exists even more the wonderfulness and unfathomableness of His divinity, as well as all His deeds in the flesh. Therefore, both humanity and divinity actually and practically exist within Christ. This is not in the least empty or supernatural. He comes to earth with the primary objective of carrying out work; it is imperative to be possessed of a normal humanity to carry out work on earth; otherwise, however great the power of His divinity, its original function cannot be put to good use. Though His humanity is of great importance, it is not His substance. His substance is the divinity; therefore, the moment He begins to perform His ministry on earth is the moment He begins to express the being of His divinity” (“The Substance of Christ Is Obedience to the Will of the Heavenly Father” in The Word Appears in the Flesh). It is thus clear that the authenticity of God’s identity cannot be determined by any person, but by the substance of the incarnate God as well as His words and work. The Lord Jesus is the incarnate God, so is Almighty God, who comes to work in the last days. The one we believe in is the incarnate God, Christ. This is an undeniable fact! So, the statement of the CCP government and religious community that God is a man is purely confusing black and white and is a slander and blasphemy against God. The CCP is an atheistic party. How can a party denying God know Christ, the incarnate God? Since it doesn’t know God, why does it judge Almighty God as a person? It is because it attempts to make China a region without God, letting the Chinese people follow it and treat it as God, so that it can forever control them and abuse its power. Seeing that God incarnate comes to the earth and does the work of saving mankind personally in the last days, the CCP government deeply fears that we have discernment of it, reject and forsake it after they read the truth expressed by Almighty God, and that we investigate and accept God’s work of the last days, acknowledge that Almighty God is the appearance of the one true God in the last days, and thus become subject under the dominion of God. So, it spares no efforts in creating rumors and slandering, making people suspect and deny God, resist and betray God together with it, and in the end be punished by God as its funeral objects. And besides, those pastors and elders in the religious world condemn and slander God and create rumors purely to deceive and shackle man and to preserve their own positions and jobs. In terms of their nature and substance, they are all antichrists who hate truth and devils who devour the souls of man. Even if the true God has come, the devils and Satan neither acknowledge nor accept Him, which is determined by their essence. God is God. How can it be said that God is a man? Almighty God, Christ of the last days, is the returned Lord Jesus. Now, the incarnate Almighty God walks among the churches and does God’s own work in normal humanity just as the Lord Jesus did. 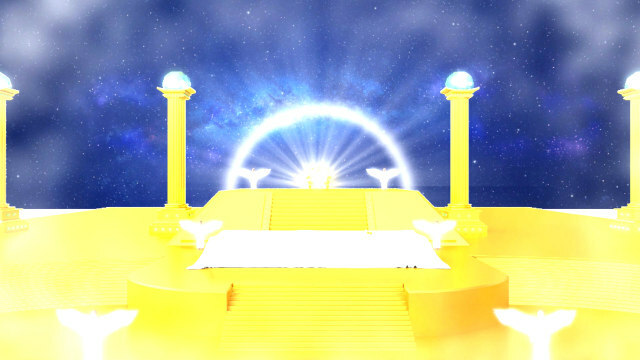 He has expressed all the truths which corrupt mankind must possess to be saved, and begun the work of judgment beginning with the house of God in the last days. He not only judges and exposes the satanic nature of mankind and the truth of their corruption, but also reveals all the mysteries about God’s six-thousand-year management plan of saving mankind. He points out the way for us to break away from sins and become holy to be saved by God, and reveals to us humans God’s inherent righteous disposition, what God has and is and God’s unique authority and power…. 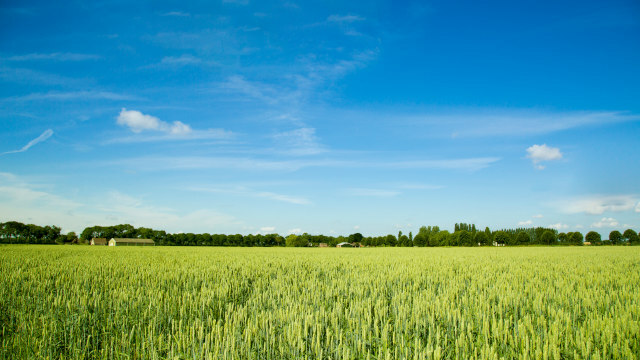 The work and words of Almighty God perfectly demonstrate God’s own identity and substance. 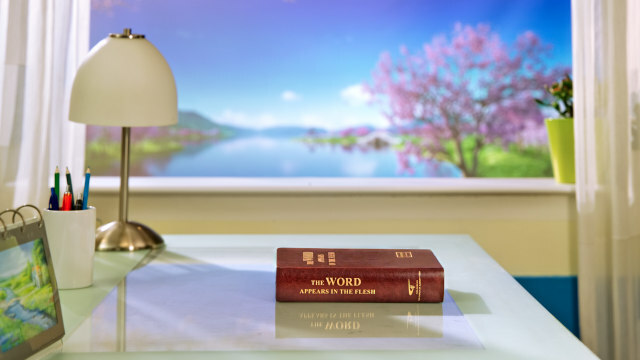 Today, people follow Almighty God, because they hear God’s voice from Almighty God’s work and words and see the appearance of God’s words in the flesh, thus returning before His throne to accept His purification and perfection. But those religious people who are still denying, resisting and condemning Almighty God have undoubtedly made the same mistake as the Jewish Pharisees. They treat Almighty God, Christ of the last days, as an ordinary man. They don’t seek or investigate all the truths expressed by Almighty God, but make rumors against Him and resist Him stubbornly, nailing God to the cross again. They have long provoked God’s disposition, and shall suffer His punishment eventually. It can be clearly seen that if we neither seek the truth nor investigate God’s work, even if they do hear Christ’s words and see the facts of His work, they won’t know Christ. Even if they live with Christ by day and by night, they will still treat Christ as an ordinary man, resisting and condemning Him. If people want to know Christ’s divine substance, obey Christ truly and love the practical God from the heart, they must discover the truth and see God’s disposition and what God has and is from the work and words of Christ. If we don’t understand the truth about the incarnation, they will not be able to accept or obey God’s work. In addition, it is easy for them to suffer God’s punishment and curse because of condemning Christ and resisting God. So, seeking the truth and knowing the mysteries of the incarnation are extremely important and crucial for us to be saved. Christ of the last days is the gateway to the kingdom for each of us, and accepting His judgment is the only way for us to be saved. God’s word says, “Christ is man’s gateway to the kingdom during the last days, which none may bypass. None may be perfected by God except through Christ. You believe in God, and so you must accept His words and obey His way. You must not just think of gaining blessings without receiving the truth, or accepting the provision of life. Christ comes during the last days so that all those who truly believe in Him may be provided with life. His work is for the sake of concluding the old age and entering the new one, and is the path that must be taken by all those who would enter the new age. If you are incapable of acknowledging Him, and instead condemn, blaspheme or even persecute Him, then you are bound to burn for eternity, and shall never enter the kingdom of God. For this Christ is Himself the expression of the Holy Spirit, the expression of God, the One whom God has entrusted to do His work on earth” (“Only Christ of the Last Days Can Give Man the Way of Eternal Life” in The Word Appears in the Flesh). By Xinjie, China We Christians will be baptized when beginning to believe in the Lord. Though baptism is merely a ceremony, it represents that we officially return to the Lord Jesus, becoming a Christian. So baptism is an important matter for us believers. In Matthew 3:13–17 it says: “Then comes..